The Ankara Governor’s Office has prohibited the lighting of fires and signing of songs in street protests after sunset in Turkey’s capital city. 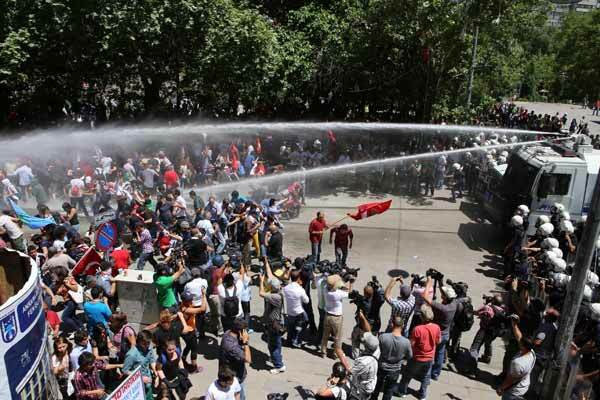 A statement posted on the website of the governor’s office on Friday said protestors have been lighting fires and singing songs in the streets of Ankara until late hours and that this disturbs the city’s residents, hence all such actions have been banned. The governor’s office said such protests in the streets also raise the likelihood of a terrorist attack and lead to anxiety among people, also making it hard for security forces to intervene in the event of an emergency.